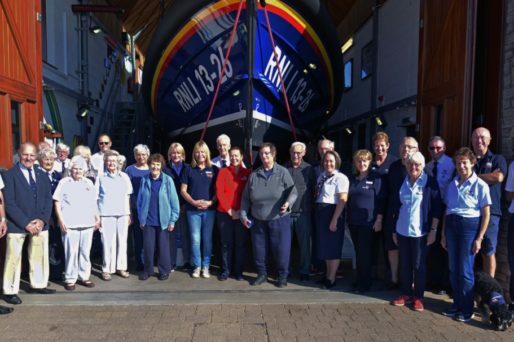 Celebrating over 200 years as a lifeboat station, Exmouth RNLI operates an inshore D class lifeboat George Bearman II and the new Shannon class lifeboat R and J Welburn. We have a visitor viewing gallery above the RNLI gift shop where you can view the all-weather Shannon class lifeboat. You can also see its Launch and Recovery System through the glass, during shop opening hours. Our station conducts visits by arrangement, so book today – we look forward to welcoming you to our station! Interested in joining the operations team? Interested in joining the fundraising team? Interested in joining the shop team? 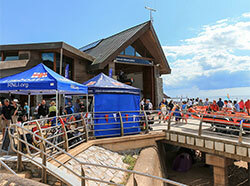 Interested in visiting the Lifeboat Station? 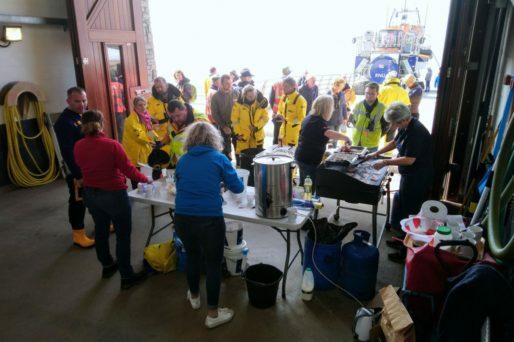 If you would like more information about group visits and tours of the Lifeboat Station, click here to find out more. Free guided tours of lifeboats at weekends 10.30am-3.30pm, subject to volunteer availability. Interested in talks from our volunteer speakers? Our Volunteer Speakers can give presentations about our charity to local clubs. 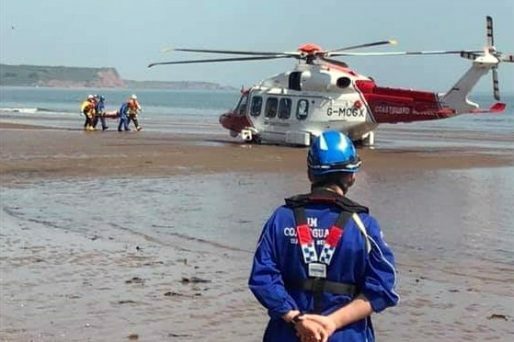 To find out more, email Pat at talks@exmouthlifeboat.org.uk. Also, you can request a Youth Education volunteer to speak to children by booking online here.